Here is an awesome World Secret I learned from Ramon at Theme Park Concierges! Have you ever tried to get your little Princess an appointment at the Bibbidi Bobbidi Boutique – only to find out that they are completely booked? It’s happened to many guests I am sure – but there IS an alternative that can be just as magical and fun – with a location that can’t be beat if you are enjoying a Princess Tea or maybe dinner with Cinderella at 1900 Park Fare! By the way, did you know 1900 Park Fare dinner is the only character meal at Walt Disney World where you can meet Prince Charming? It’s true, and now, even if the Boutique is booked…you have another option to get your little Princess all dressed up to meet him. Prices start at $50 for princess hairdo, glitter and a tiara; add a little princess glow make-up for $25 more. Option three includes hair, and a light nail polishing for $90. Kids ages 4-12 can get The Perfectly Prepared Princess Package! This is available at Ivy Trellis, Coronado Springs Casa de Belleza Beauty Salon and at the Yacht and Beach Club Resort Ship Shape Salon. Don’t forget that a 20% gratuity is added to every service. Call Ivy Trellis at 407-824-1679 for more information. Here is the secret place! Ivy Trellis Beauty and Barber Shop – located inside the Grand Floridian Resort and Spa at Walt Disney World! It is truly a hidden gem! As a bonus, it is even possible that your Princess will enjoy more special attention and a quieter atmosphere than she would at the Boutique. Be sure to scroll all the way down to the bottom of this post to see examples of the finished product. You will find Ivy Trellis on the 2nd floor – in the main building, near the the Monorail. They have been known to take walk-ins but appointments are strongly encouraged. The hours of operation are normally 9:00AM-6:00PM. I stopped in and spoke to Robin McKenna – Master Cosmetologist at the salon for these tips on how you can make this appointment extra magical for your Princess. 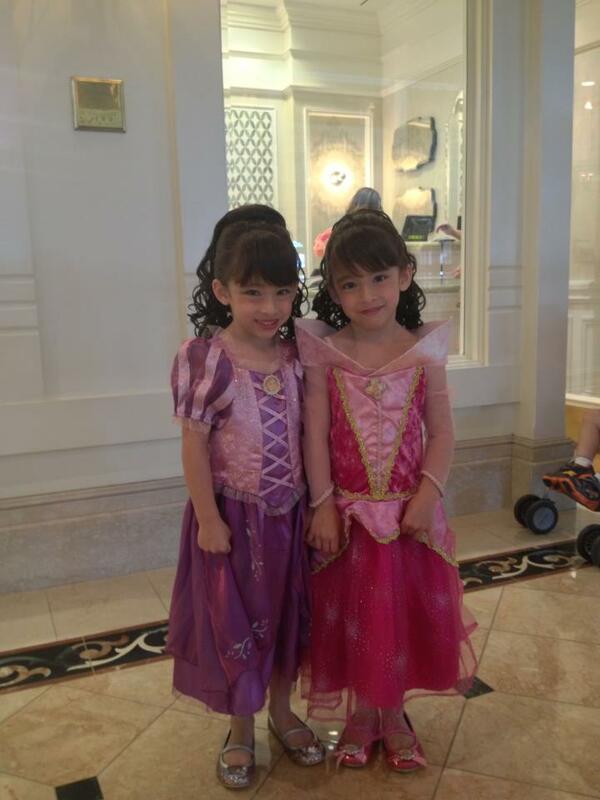 First give them a call at the salon at 407-824-1679 or 407-824-3000 (for the Grand Floridian) and ask for the Flower Girl Bundle plus makeup – and explain you are scheduling a Princess makeover for you little one. This will cost about $50 and they will add a 20% gratuity. Payment will be due after the service is provided. Second, go to your local beauty supply store or website and order a hair extension if you would like. The salon will not have these available – you must bring your own if you want one to be used. Click HERE to see an example of styles and pricing on the hair pieces to give you an idea. The salon has makeup but you will need to bring your own glitter if you want your Princess to really sparkle. If you don’t have time to plan ahead, you may be able to find hair extensions, ties and hair clips at Downtown Disney Bibbidi Bobbidi Boutique. They also have the means to do over-all pixie dusting at the Downtown Disney boutique (for free) after the makeover is complete. The Harmony Barbershop on Main Street inside the Magic Kingdom also may have pixie dust available to sprinkle. Last is taking care of attire, shoes and accessories. You can get wonderful home-made gowns from Etsy.com, or even make your own if you plan ahead. Upon arrival at Walt Disney World, you can try Hollywood Studios Character Warehouse, Downtown Disney’s World of Disney Store, Mouse Gear in Epcot, or the gift shop in the Contemporary resort. Animal Kingdom’s Island Mercantile has been know to carry some Princess attire as well – including Pocahontas! The most simple solution however is M. Mouse Mercantile. This is the gift shop located right there across from Ivy Trellis Salon inside the Grand Floridian! I found the cast members inside the gift shop to be VERY helpful! Take a look at these little beauties! They had their hair styled at Ivy Trellis and all to the attire was purchased at M. Mouse Mercantile! Ivy Trellis also has services for any adults that might accompany Princesses if you are interested. Just call 407-824-1679 for the salon or 407-824-3000 for the Grand Floridian to book your appointment! So what are your thoughts? Do you think you might use Ivy Trellis as a preferred stop for your little Princess’s makeover, or have you already? If you enjoyed this post be sure to check out more royal world secrets: SNOW WHITE’S BIOLOGICAL MOTHER AND HOW TO STAY DINE AND PLAY LIKE A PRINCESS AT DISNEY WORLD! ← 2013 Epcot “Sounds Like Summer” Dates, Times and Duration! First of all, I’ve never been a big fan of BBB – probably because it’s super pricey – but also because I think those tight little buns they give the girls look horribly uncomfortable and fake! LOL I think THIS is a fabulous alternative! What a great idea. Thank you Heidi! Yes it’s really worked out great for a lot of little princesses! Ha! Why thank you very much. I have to give props to Ramon at ThemeParkConcierges.com for telling me about this amazing secret! Had my two girls at the Ivy Trellis this morning and they looked amazing!!! Loved the service, the attention, and the final product. 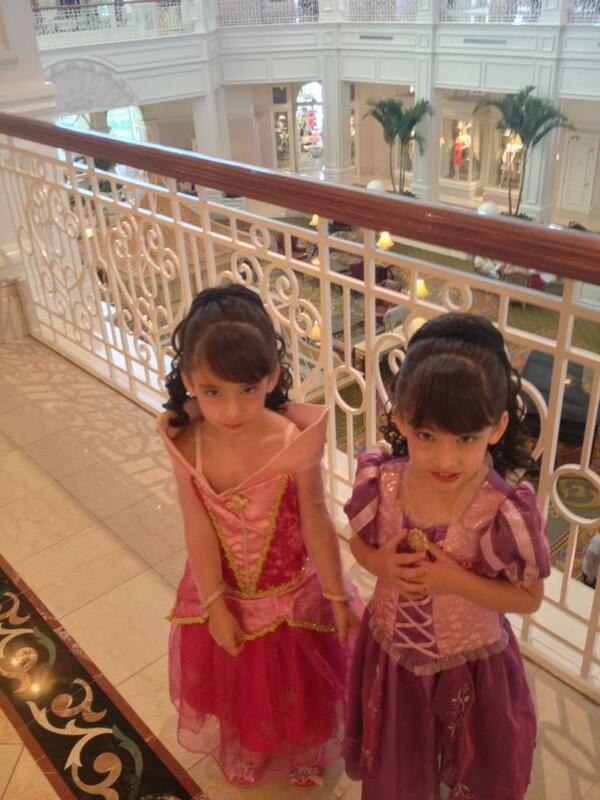 The girls had a very special princess day! I am SO excited to learn this Julie! Thanks so much for letting us know. We are very happy they had a special day! Great tip! you saved me from dragging my girls to and from DTD and back to MK for our CRT reservation!!! I have to give props to the BBB at Disney Springs. That salon is Much Larger than the Magic Kingdom location. I feel it is much more comfortable. Last time I took my daughter, my mother-in-law was with me and they selected my daughter to have her makeover in the store window. I suspect this was to offer my mother-in-law a comfortable place to sit in the window with more room. Also, the girls have several styles to choose from, not just the tight bun. My girl doesn’t like that style either. Some years ago I got an updo there myself for a dinner at V&A and they finished my style off with glitter at my request. Even us adults should be Disney Princesses! Might be a good option for an older child or teen who wants a more sophisticated princess look as well. What is included in the flower girl package and about how long does it take? Hi Michelle! Feel free to contact the girls at the salon for current pricing and times. The number for the salon is 407-824-1679 or 407-824-3000 (for the Grand Floridian) Ask for the Flower Girl Bundle plus makeup – and explain you are scheduling a Princess makeover for you little one. Thank you so much for this tip! We took our 3 and 5 year old for the Flower Girl Bundle and makeup, and I honestly think it was their favorite part of the Disney trip. They each got individual attention from friendly and talented stylists. The salon was quiet and the stylists really pampered them. Both girls were grinning ear to ear. I think the results were much better than the Bibbidi Bobbidi makeovers I saw at the park. Highly recommended! If I could offer an additional tip. There is a Disney character breakfast at The Grand Floridian, so we made reservations for that breakfast at 8:00 and the makeover at 9:00, then we hopped on the monorail straight to the park. Free parking because we had reservations. Worked out perfectly. Joel! I am smiling from ear to ear. Thank you so much for sharing this. It warms my heart to know the girls had an extra magical time. 🙂 I’m delighted that it worked out so perfectly for you all! adults can do the makeover to ?? You can at Ivy Trellis! Adults can also get makeovers at the Pirate’s League inside Magic Kingdom. BBB only does makeovers for children ages 12 and under. Thank you so much for posting this, I had no idea that this was an option! And I agree with what so many others have said, I adore how sweet these girls look (vs. the tight bun that others have from BBB). May I ask what glitter make-up others have used that looks so sweet? Or is it even make-up. I love the hair extensions/clips, how fun and sweet but wasn’t sure where to start w/the make-up. I am so excited about this. I was very disappointed when I found out that BBB was all booked as well as all the character dining at Magic Kingdom for my daughter’s birthday. I’ve already booked appointments for her and her sister at Ivy Trellis, and they have glitter now. I will let you know how it goes. Thanks! Hooray Michelle!! That’s fantastic! Thank you for sharing! This is perfect! We can booked the make over at the salon at 9am then have the princess tea party at the Garden View Tea Room at 1030am all in the same place then make it after to the park 😉 amazing!! Thank you so much!! We will be there in March wish our two daugters. Can you tell us if M. Mouse Mercantile have big size (dress and shoes)? Our oldest one is 12, but wants to be a princess too! Hi Judith! I have been trying to reach someone at Mom approved costumes to work with us here on the site – but haven’t had any luck. They may be able to make you something custom! That would be ideal. http://momapprovedcostumes.com/ If you reach someone – ask them to contact me please? 🙂 Otherwise, I would call Ivy Trellis (the number is in the article above) and ask them to connect you to M.Mouse Mercantile so you can ask the cast members about what they have in stock. Best wishes for your trip and your beautiful pincesses! The owner of Mom Approved Costumes is a friend of mine. I just reached out to her to let her know you were looking for her. Im from England and wanted a Princess Makeover for my 7 year old. I just spoke to a lady called Christy at the Ivy Trellis Salon about the Flower girl package. She said they now do a Perfectly Princess Package. There are 3 options. I was in shock with the prices so I missed the first option, (sorry!) the second one is Hair and Make up with tiara for $75, the third is for $90 and includes nail polish..I picked the middle package and made an appointment for March. I was just wondering if they still do the Flower girl package for $55? I haven’t paid yet and would just like to know if the cheaper option is still a possibility? Any information will be greatly appreciated since cost is an issue for us. Hi Ash! I will check on this for you. Remember with the flower girl package, you still have to provide your own sparkles, hair piece and crown. So once you buy all that you are close to the new $50 package that includes a hairdo, glitter and a tiara. Thank you so much for your reply. I forgot to mention the 20% gratuity to be added on top of the package price. All your advice, tips etc are gratefully received. Any information on cost and what is included in Perfectly Princess Package 1 vs Flower Girl package(if still available) will really help. This is AWESOME! For a Dad trying to figure things out this worked like a CHAMP! I just booked it for next Tuesday with no problem! they now have a princess package that is exactly what we are looking for!! THANK YOU FOR THIS TIP!! 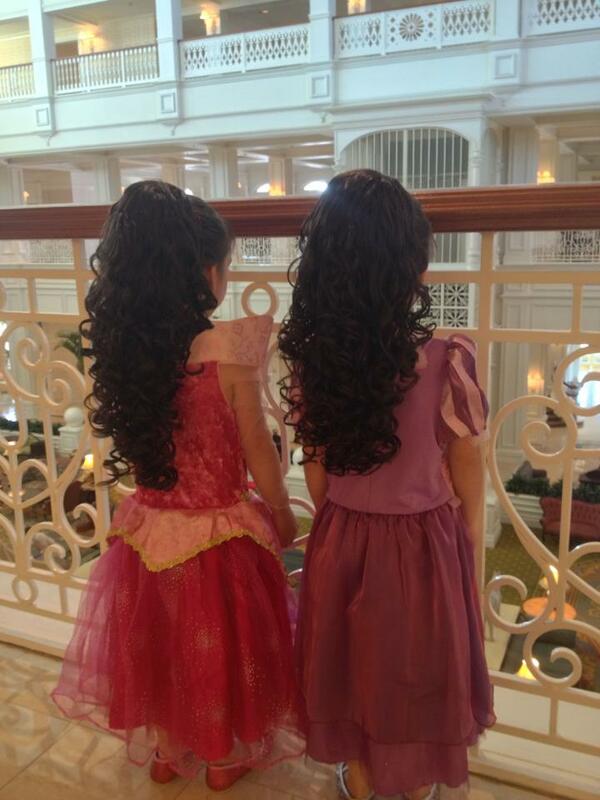 Do have you to be a guest at the Grand Floridian to make reservations at Ivy Trellis salon? Also, do you have to be a guest to make reservations for the character breakfast at 1900 Park Fare? A tip: Park in Magic Kingdom and take the resort monorail to the salon. It takes you right to the entrance of the Floridian and the salon is located near the entrance. I would like to complain about my booked to Bibbidi Bobbidi Boutique for May 7, 10: 50 am in the Magic Kingdom. Today, when I called to confirm, the attendant said that the my reservation is for the Disney Downton, but I didn’t do this reservation! My daughter is so saddened and I’m disappointed! I have a questions is there a way an not so young princess can get a make over too at Disney without having to take with me a little one? The age limit for BBB is 12 but you can probably get anything you want done at the Disney salons! I don’t know why not? Jeff contact my friend Sharon at https://www.facebook.com/Sharonjudyhair – – she will help you! Thanks a ton I messaged her on Facebook… Where does she work? On property?? ?